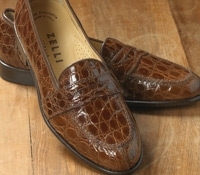 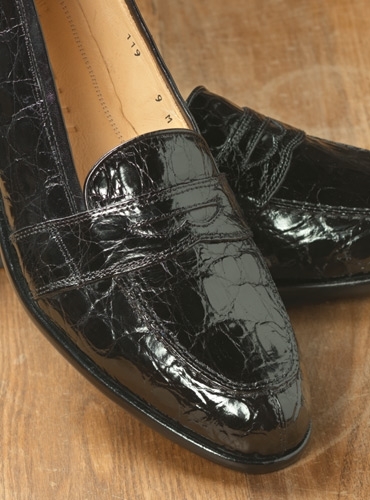 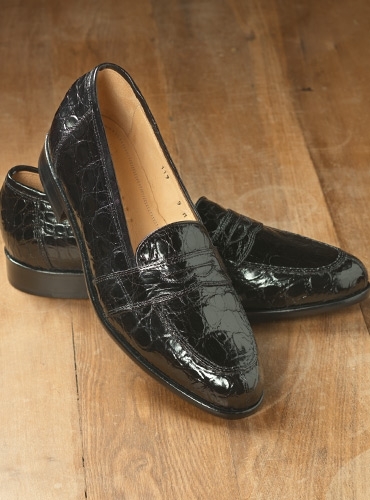 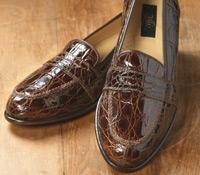 These exceptional crocodile penny loafers are handcrafted in Tuscany by Zelli, one of Italy’s finest makers. 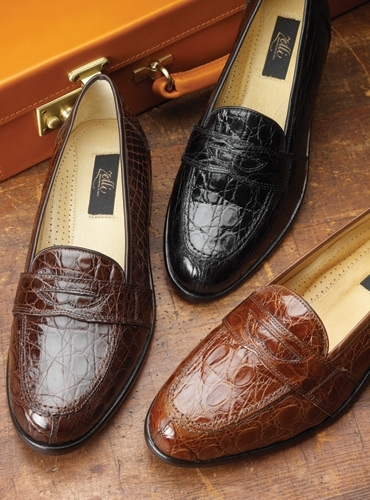 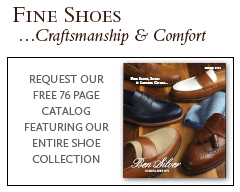 The elegant shoe is refined yet sporting, with a comfortable short vamp and a superflex sole, in three handsome exotic leathers. 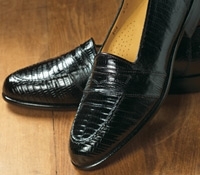 Shown here in black. 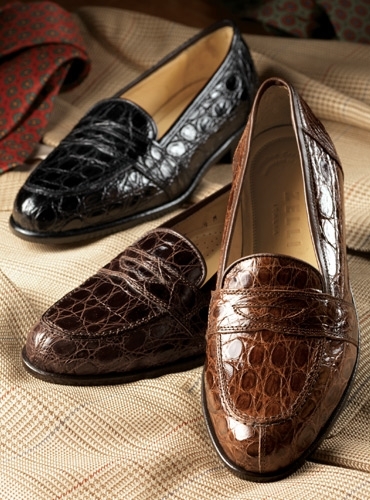 Also available: A-cognac; B-dark brown. 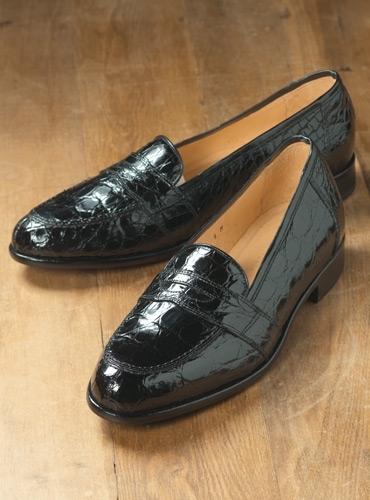 Sizes 8.5–12 and 13, medium width.